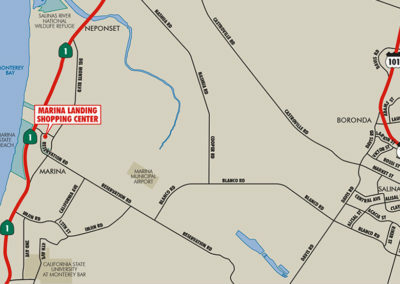 8 Acres | GLA: 92,000 Sq. Ft. Achieve key entitlements, redevelop and procure a national credit tenant to occupy a 92,000 SF dark large format retail location that was acquired out of REO from Wachovia Bank. In October of 2005, Terrence Tallen and a partner purchased a 92,000 sq. ft. vacant K-Mart retail building located in the City of Marina, CA. 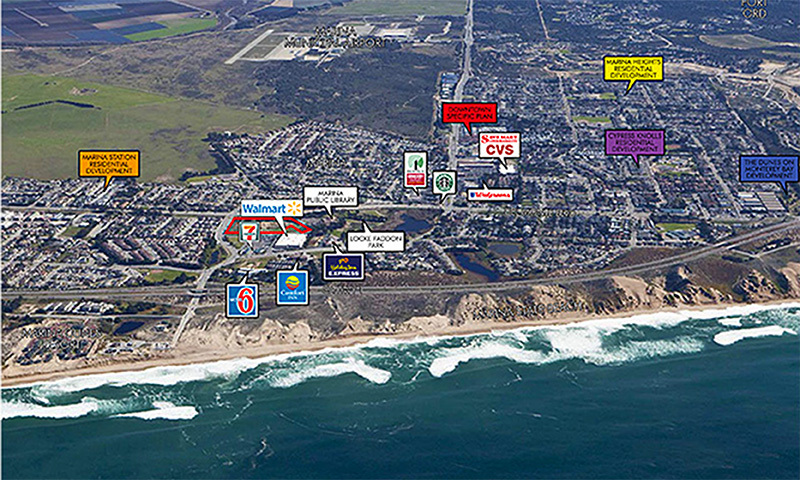 The property is located on the development constrained Historic Monterey Peninsula and is under the jurisdiction of the often challenging California Coastal Commission. K-Mart ceased operations due to the closure of the mammoth Fort Ord Military Base and the related loss of consumer traffic. The property was a blight on the local community for several years. After prolonged negotiations, the property was purchased from Wachovia Bank foreclosed property out of Receivership. There was a successful strategy to redevelop the property and make the financial commitment to the City of Marina. 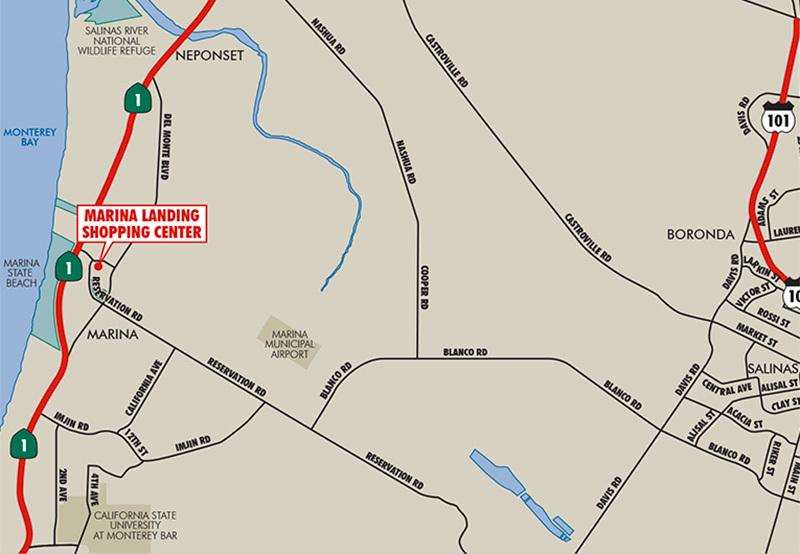 It was determined that this investment opportunity was a perfect fit for their risk profile, based upon its extraordinary “infill” location, the “in place” entitlements and the highly favorable purchase price it negotiated. TCP needed to obtain one key entitlement which was a comprehensive or blanket “Use Permit” and successfully navigated through several contested municipality and City Council Meetings, working successfully with the Mayor, City Manager and Planning staff. All entitlement strategies and negotiations were performed by TCP principals, independent of outside legal counsel. 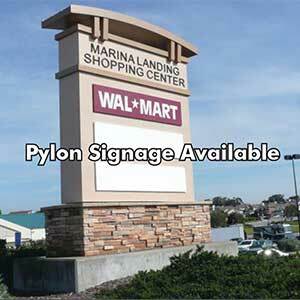 In early 2006, a long term ground lease was executed with the largest retailer in the world, Walmart. 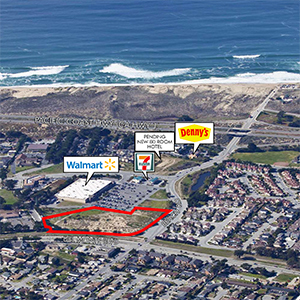 The obtainment of a “Blanket” Use Permit ultimately allowed Walmart to successfully operate in its first store on the historic Monterey Peninsula. 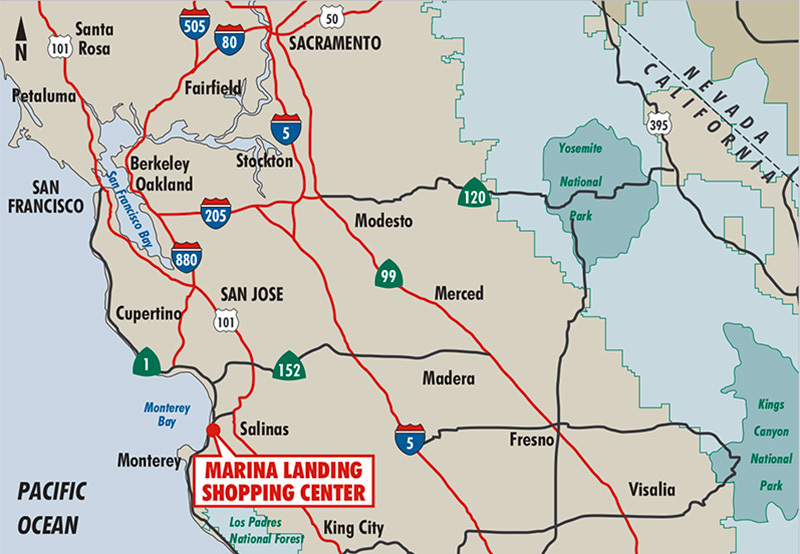 Due to Tallen’s key relationships and planning, the Marina Walmart was one of the most expedited Walmart openings ever in California. 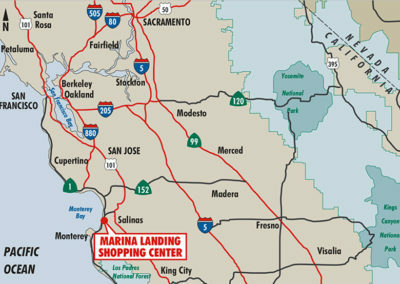 The Marina Landing Walmart was another highly profitable investment. Terrence Tallen funded 100% of the equity on this $8,000,000 acquisition which he eventually sold to Walmart for over $21,000,000. The company also successfully overcame significant opposition from the powerful United Food and Commercial Workers (“UFCW”) Union and successfully overcame other obstacles that typically oppose Walmart store openings. The Marina Walmart is now a valued community resource, a tremendous source of well-paying jobs and provides a strong and reliable sales tax revenue to the local municipality. Tallen Capital Partners, LLC is currently in the process of creating a minor subdivision map and rezoning 5.5 acres of the land to Multifamily including a density bonus to allow for 180 market-rate apartments in addition to a coveted one-acre affordable housing component comprising approximately 40 new units. TCP plans to lease the retail pads to top of category retailers and restaurants including Marina’s newest Starbucks with a drive thru will operate on a free-standing pad. The Starbucks estimated opening date is Q3 of 2019. 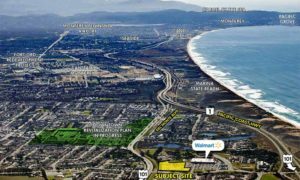 The location is ideal for multi-family and is the gateway to the downtown core of the City of Marina. 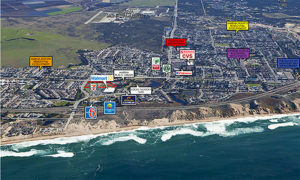 This location has Monterey Bay views and it is walkable to Marina’s pristine beaches and dunes.